This is a very striking trilobite. It is a colorful and detailed Nankinolithus sp. from the Ordovician Beds of Morocco. This is one of the hardest trilobites from Morocco to obtain in nice shape, and this one is phenominal! The huge pitted fringe in the front is very broad and extremely detailed. The red-orange coloration of this bug makes it stick out like a sore thumb. The very distinct bug is beautifully showcased on the large, natural-edged plate of matrix. 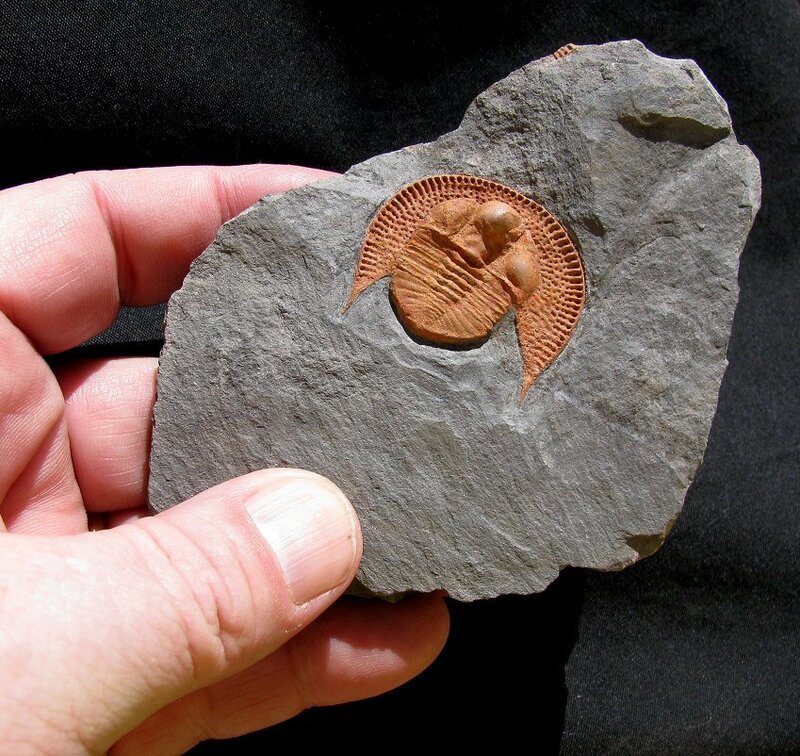 This is an extremely collectible example of this unique Ordovician trilobite from Morocco - probably the best we've seen. A Certificate of Authenticity from EXTINCTIONS is included with this specimen. Click on Thumbnails for Close-ups.